Hollywood is one of the best-known neighborhoods in Los Angeles, California. Recently some people were complaining about Hollywood suggesting that people skip it on their trips to Los Angeles. A lot of people expect Hollywood to be glamorous and are disappointed when they see that certain parts are dirty. Their comments inspired me to create a guide on the top things to do in Hollywood. Yes, parts of Hollywood can be dirty and less than glamorous but there are so many things to do and see in this area. If you want a little glamour you can always head to Beverly Hills. Every November the American Film Institute hosts their film festival in Hollywood. The screenings are held in various theatres. Some of the special events include appearances from the cast and crew. 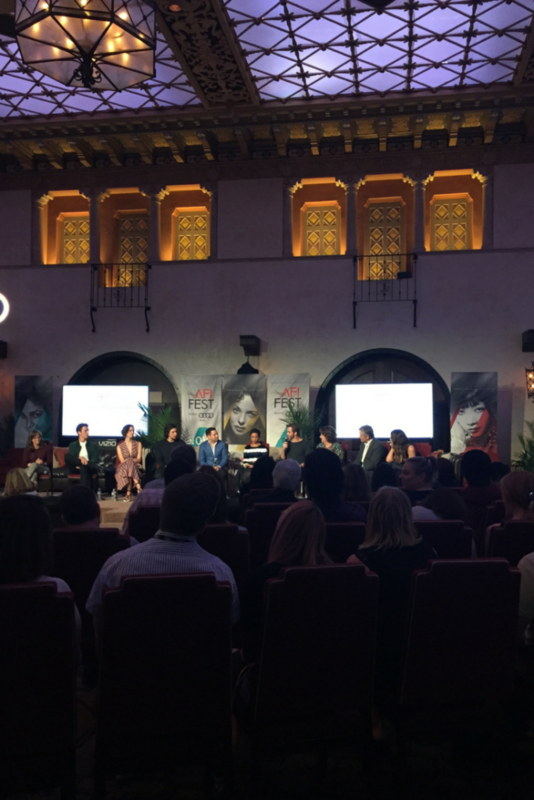 You can read about my experience at AFI Fest in 2016 here. This is my favorite place to go for coffee in Hollywood. Located on Melrose Place this coffee shop is an adorable place to check out. This independent record store is a one of kind find on Sunset Blvd. Not only is it a great place for music lovers to shop it is a great place to meet some artists. 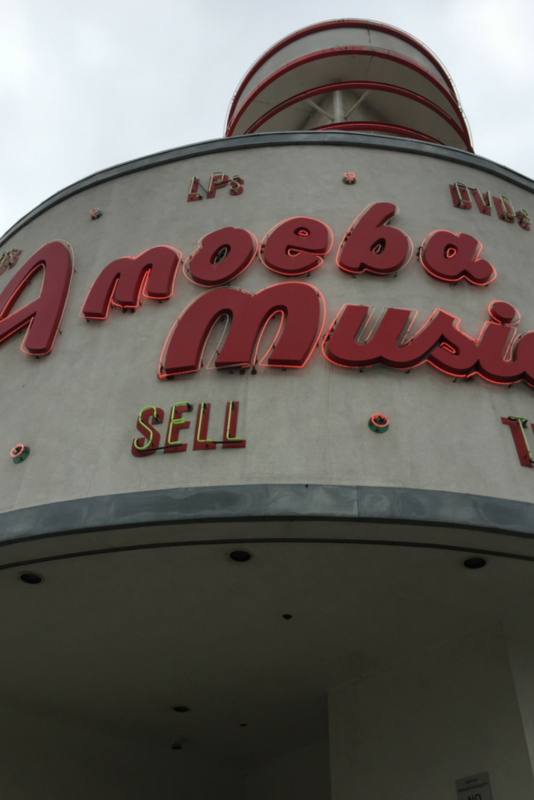 You can read about Amoeba Music here. The Arclight in Hollywood is just one of several great movie theatres to visit. What makes this location unique is the Cinerama dome which movie lovers really enjoy. The theatre hosts red carpet premieres for movies on occasion as well as special screenings with actors. Did you know that you can attend movie premieres for free? 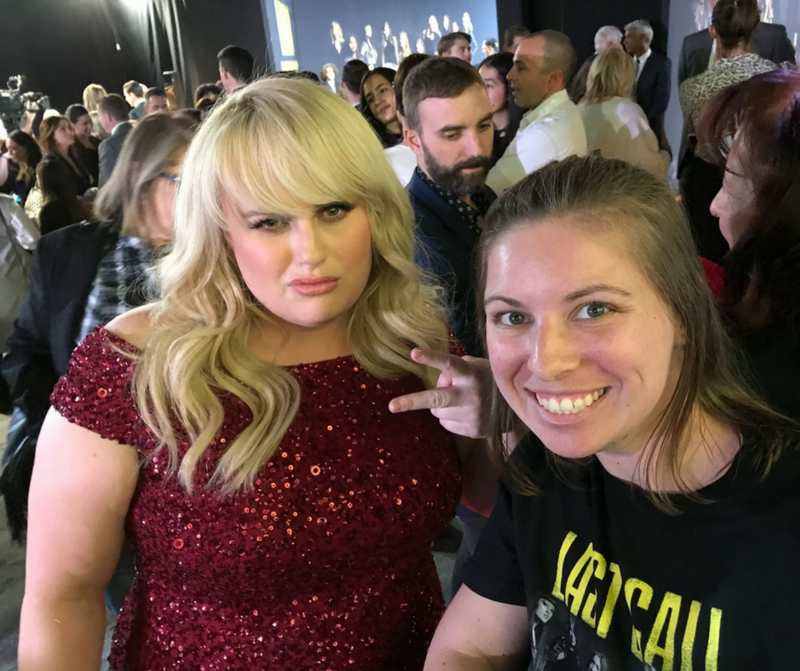 I have gone to several movie premieres since I have moved to Southern California. Several of the theatres in Hollywood host movie premieres throughout the year. Anyone on who purchases my ebook can join the private Facebook group where I share ticket links to movie premieres. You can learn more about that here. 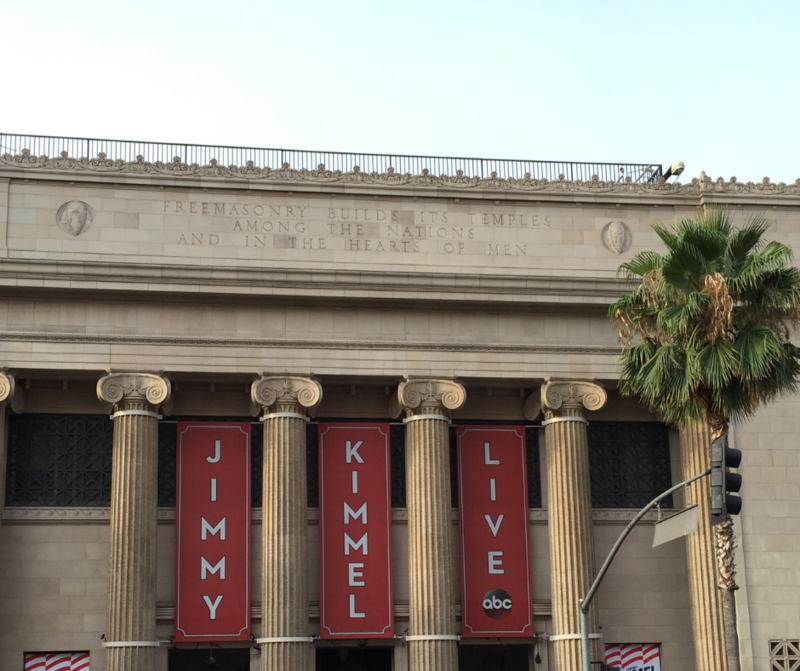 Attend a Taping of Jimmy Kimmel Live! Did you know that you can get free tickets to a taping of Jimmy Kimmel? This is a great way to see some of your favorite entertainers. You can read about how to get tickets & what the taping experience is like here. This building is one of the most famous landmarks in Hollywood. For a limited time in 2016, they sold tour tickets. Even if you can’t go inside it’s great to be able to get a picture of it. The theatre’s biggest claim to fame is that it is currently home of the Oscars. Several events take place here throughout the year. Every March you can see cast members from televisions shows at PaleyFest. If you don’t have time to attend an event you can always take a tour. Did you know that every year you can attend the After Oscar Show the morning after the awards are given out? This is the only way to see the theatre while it is still decorated. 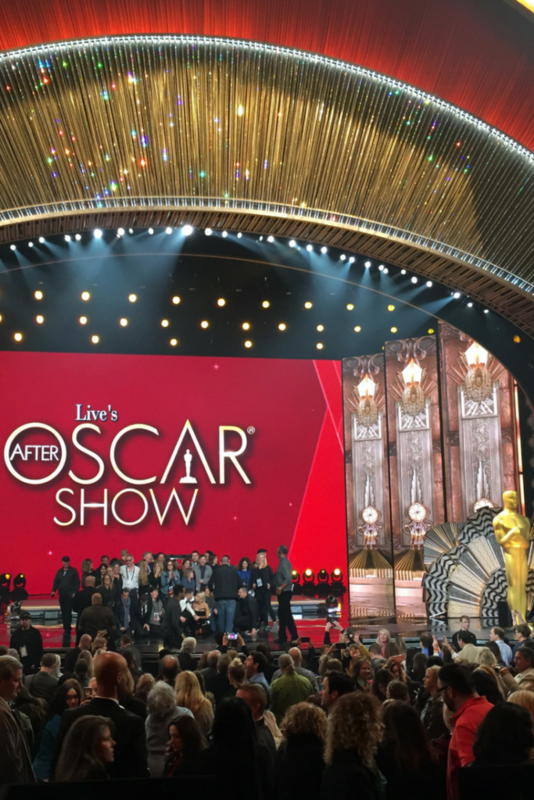 You can read about the After Oscar Show here. Located on Hollywood Blvd the theatre hosted the first Hollywood movie premiere. The theatre hosts a lot of special movie screenings that include q&a’s with the cast members. One of my favorite events that I’ve been to here was a screening of the movie Cake. Jennifer Aniston came to do a q&a after the movie. Disney runs this charming theatre that always gives moviegoers a little something extra. Movie premieres and special events take place throughout the year. You can read more about the theatre here. This is the best concert venue in Hollywood. In addition to concerts, the bowl hosts fun events like an annual Sound of Music Sing-a-long. 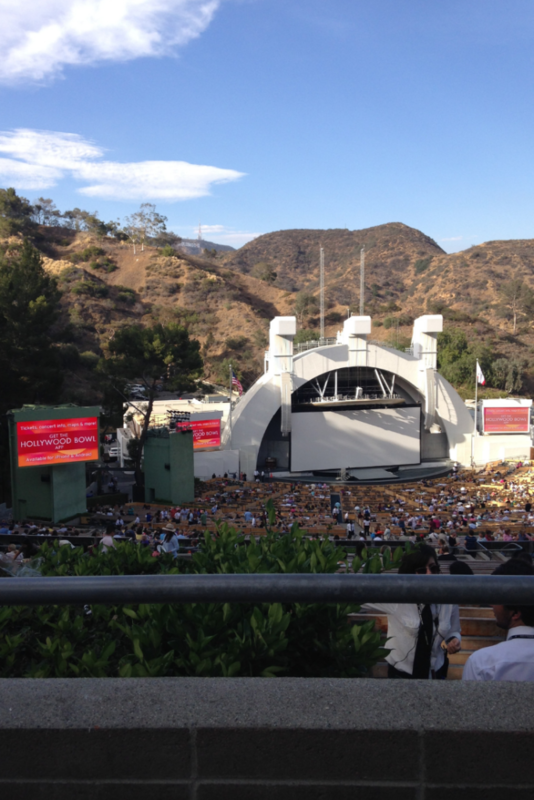 To read more about the Hollywood Bowl click here. This is one of the most iconic things in Hollywood. You can’t actually go to the sign but you can see it from various places throughout the area. If you’re feeling adventurous you can hike near the sign. You can read about hiking to the Hollywood sign here. The Griffith Observatory is one of my favorite places to see the sign from. You can read about Griffith Observatory here. 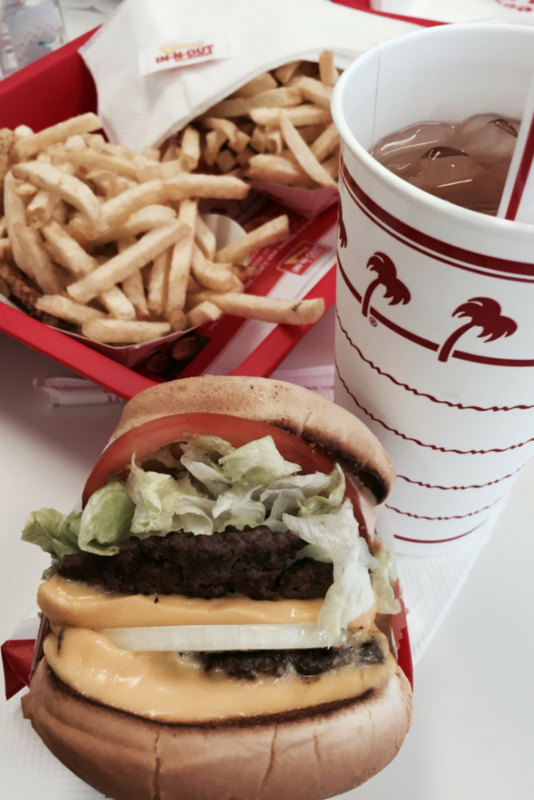 This burger chain is a favorite among locals and visitors alike. In addition to having incredibly delicious food, the prices are fantastic too. 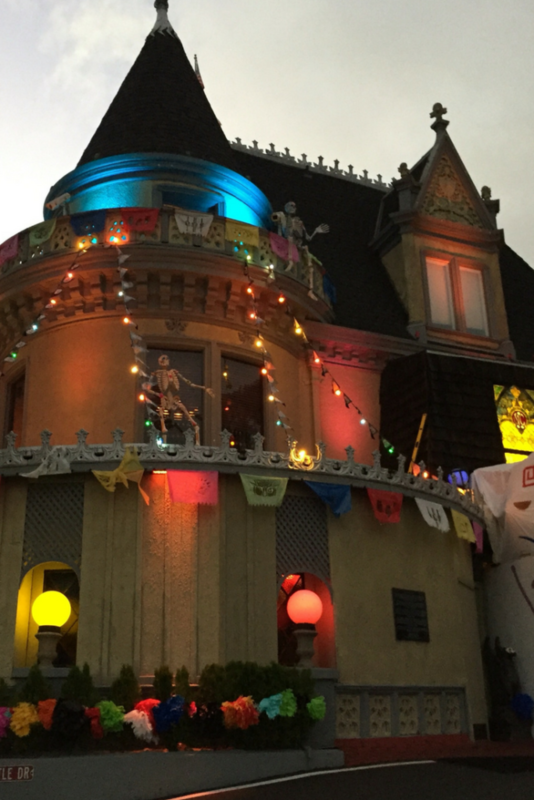 You’ll find the Hollywood location on Sunset Blvd. There will probably be a line but it is more than worth the wait. This is one of the most exclusive places in Hollywood. In order to go inside, you have to either be a member of the Academy of Magical Arts or be invited by a member. It is an incredible place to visit if you get the chance. I was blessed with an opportunity to go in the fall. You can read more about my experience here. 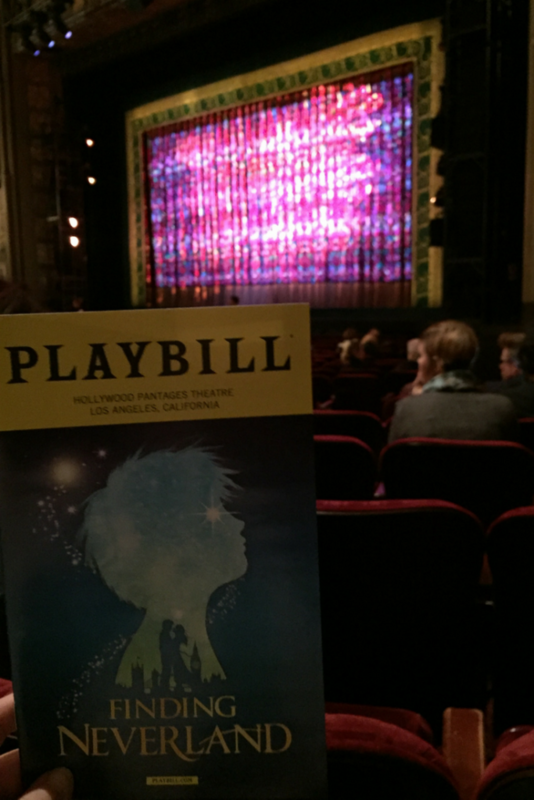 This is the best place to watch live theatre in Hollywood. The inside of the theatre is gorgeous. For more information on how to get affordable tickets & good seats click here. 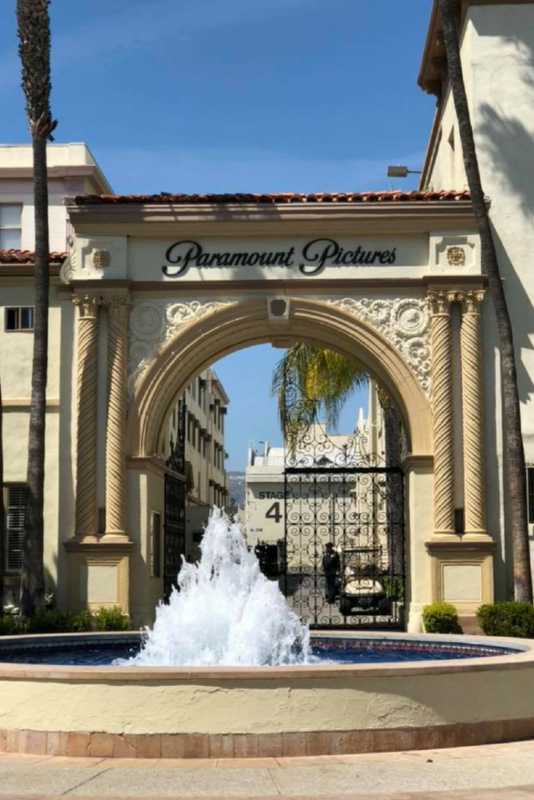 Several classic movies and tv shows have been filmed at the studios. You can take a tour of the lot for a behind the scenes look. You can read more about my experience on the tour here. Do you like pie? If so, the Pie Hole is the best place to get a slice. This is the place to get a hot dog in Hollywood. There is always a line at this hot spot. A lot of the dogs here have even been named after celebrities and come just the way they like to order them. Be sure to have cash on you if you go here. The hotel hosted the very first Oscar ceremony and has been a popular Hollywood hot spot for a long time. This is a great place to eat or just explore for fun. There Tuesday night swims are a favorite among locals. 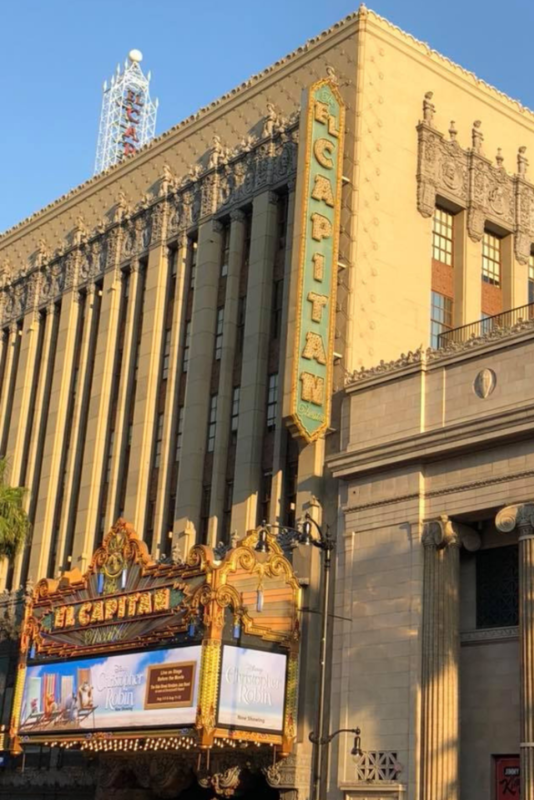 This is the most iconic movie theatre in Hollywood. 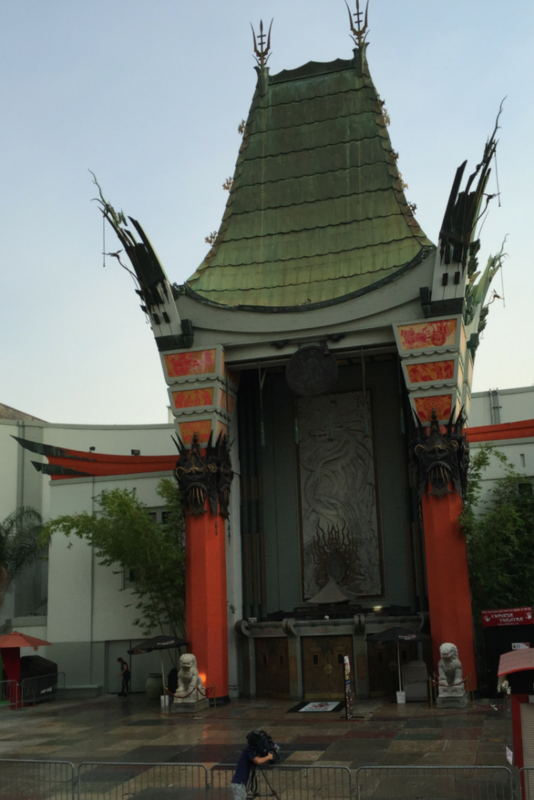 The TCL Chinese theatre has one of the largest movie screens in the world. In front of the theatre is a courtyard with the hand and footprints of celebrities like Cary Grant, Tom Hanks, and Jennifer Lawrence. This is another theatre that hosts movie premieres and special events. For more information about the theatre click here. The theme park is technically in Studio City but since Hollywood is in its name I put in on the list. The city walk is a fun place to eat and go shopping. Inside the park, there is even more to do. 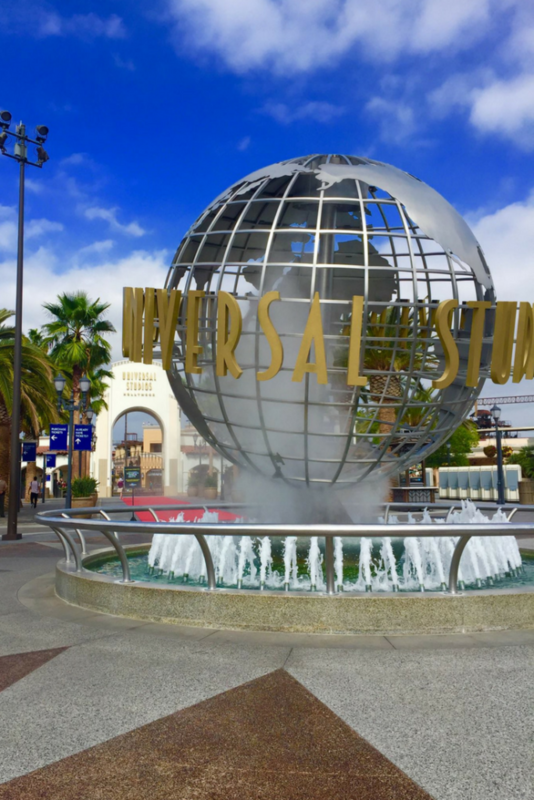 You can read about Universal Studios Hollywood here. Pink stars dedicated to entertainers who have made an impact line the streets in Hollywood. Learn how you can find a specific star and how you can attend a dedication ceremony here. This restaurant has the best view in Hollywood. In addition to having a fabulous view, the food here is spectacular as well. 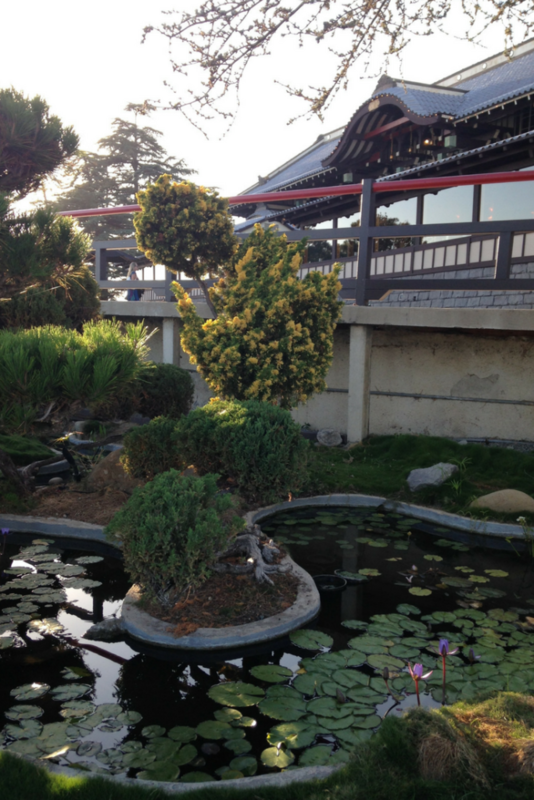 You can read more about Yamashiro here.